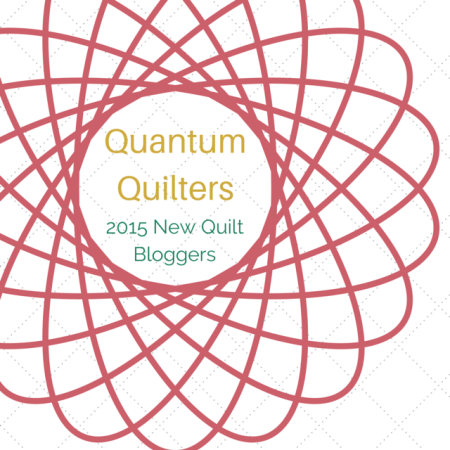 Full disclosure here – I’m a sucker for learning and recently I committed to the 2015 New Quilt Bloggers group hosted by Yvonne at Quilitng Jetgirl (I’m in her Quantum Quilters hive. Woot! ), Cheryl at Meadow Mist Design, Stephanie at Late Night Quilter, and Terri Ann at Childlike Fascination. Wow, our hosts and the entire group is all in and there is so much good information. Keep me accountable to blogging more often (dare I say weekly? gasp!). The problem with being a workshop addict is that you can add a lot to an already too long works in progress list. So, I have learned I need to do technique workshops, not project workshops. Every now and then I fall off the wagon and succumb to a class like the one I recently took, Dresden Plate Update. There is only one Dresden Plate in my quilting past and it is in my beginner’s sampler quilt. 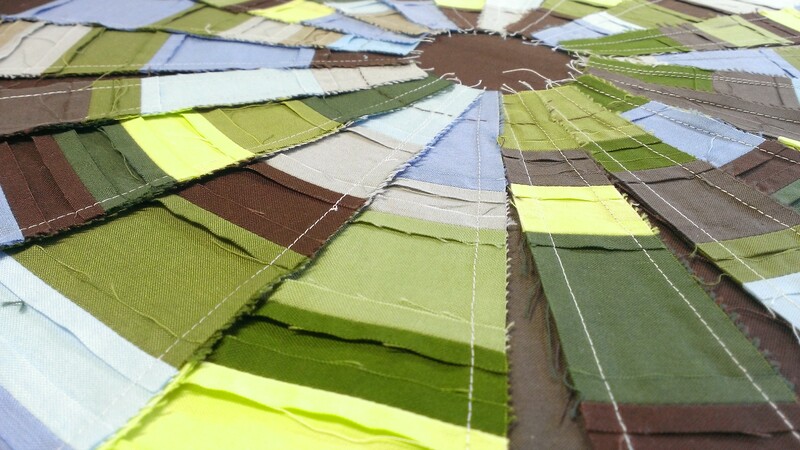 It is hand-pieced and hand appliqued and, while I enjoyed the process, I never felt compelled to make an entire quilt of Dresden plates. A friend posted a Dresden Plate Update workshop she was teaching and I was intrigued. We used a Dresden plate wedge rotary cutter ruler (no templastic template, like my first Dresden). The entire workshop was a “what if” discussion and trying different things. Like, what if the blades were pieced or what if the blades were split? Could I make it look like you are looking up through a live oak tree at a clear blue sky? And, what if I set the Dresden plate by machine per the instructor’s directions? The class is called “Dresden Plate Update” after all. Turns out the method was much easier than I expected and there was a stage when it looked like dim sum. Or, maybe I was just hungry at the time. I’ll post more on this project when it’s done. But, for now, there is one thing I did on this Dresden Plate which was the same as my first Dresden – I hand appliqued the center and I enjoy that reference to my first quilt. How about you? What have you tried to do in a new way? I recently took a marketing class and I started a WordPress blog. It’s not ready for public consumption, yet, but I plan to keep working on it. 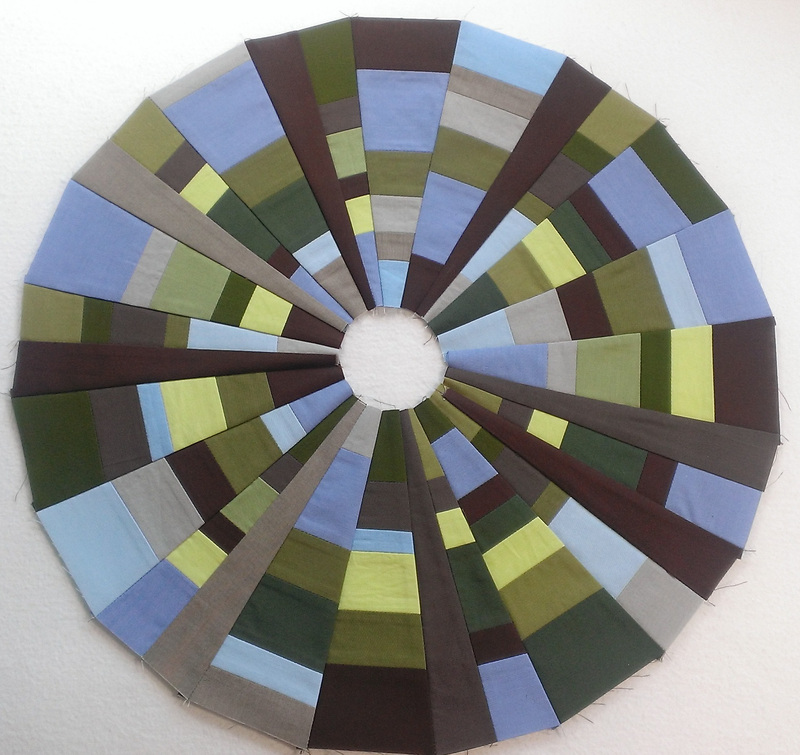 What a great visual description for your goal with the Dresden plate piecing – I can definitely see that! Love that you are part of this group and look forward to your blogging more often. I’m currently working on a modern hexie mini quilt – totally a new look at hexagrams for me! What a wonderful blog post. I do hope you’ll post more often, dare I say weekly?? You have a gift for presentation. Following now. 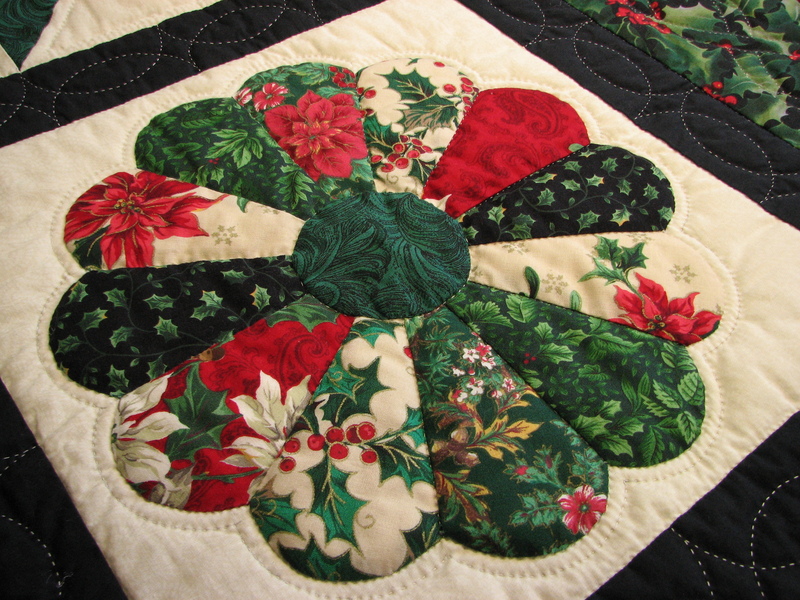 I’ve always loved Dresden quilts – my parents had one my grandmother made as a wedding gift and I spent hours trying to match similar prints from wheel to wheel. I just posted about my first king-sized version of a dresden quilt – it was a lot of fun cause me, my mom and my aunt all worked together to get it completed in less than 6 weeks. I did something pretty new to me with that project: we appliqued the Dresdens directly onto the quilt sandwich. 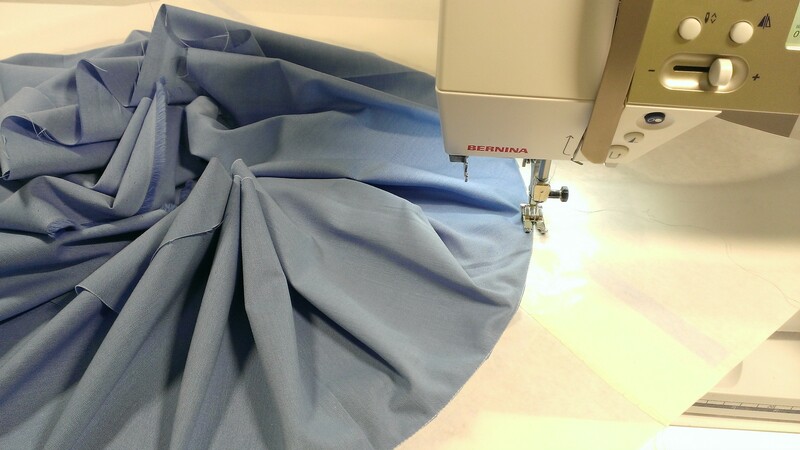 That eliminated the need to quilt the whole thing later, and it worked out very well! 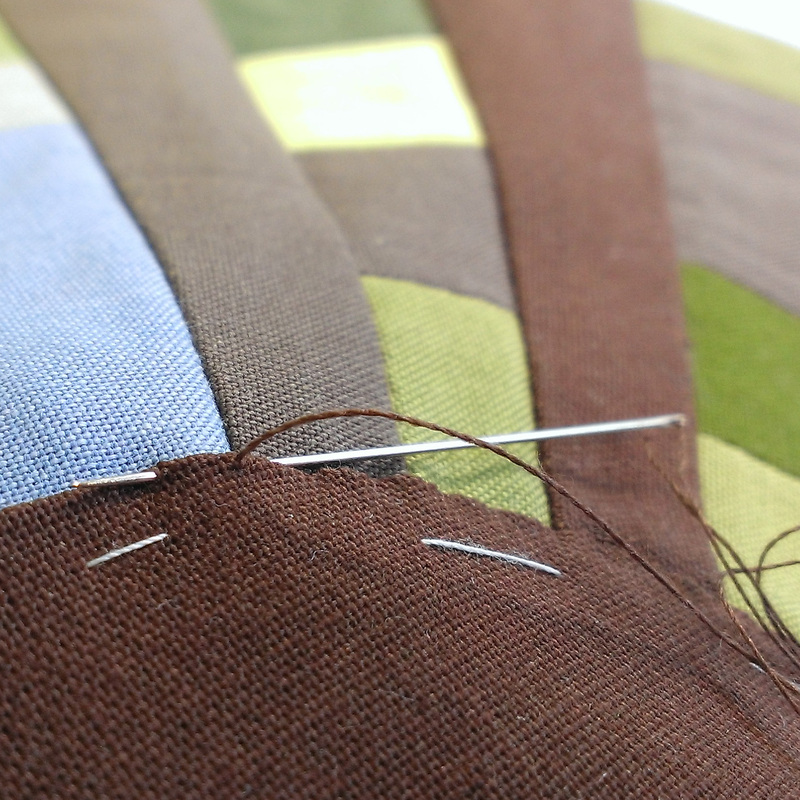 I don’t know how well the binding on the seams will hold up over time, some are starting to wear already – but we can always use wider strips and rebind! I like your spirit of adventure! My little venture into trying a new way of doing something has been quilting wavy lines with a walking foot rather my usual in-the-ditch or echo straight line quilting. Looking forward to reading more of your posts as we progress through the 2015 blog hop. I’ve never made a Dresden but I took a fun quick class in May that used a template to make a block that looked Dresden-ish but only used straight lines. Your block is striking. I think you captured your tree.